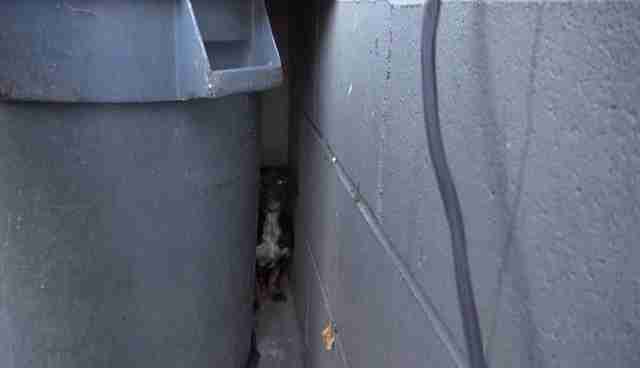 When rescuers spotted a tiny puppy living behind a dumpster, they thought it'd be a "piece of cake" to save her. But the poor animal was so terrified of humans that she wouldn't let anyone come close, let alone touch her. Clearly an orphan, the 3-month-old had lost her family somewhere along the way, and her fear upon being approached manifested itself with "crying, screaming, barking." "Little Ginnie did not surrender without a serious fight ... 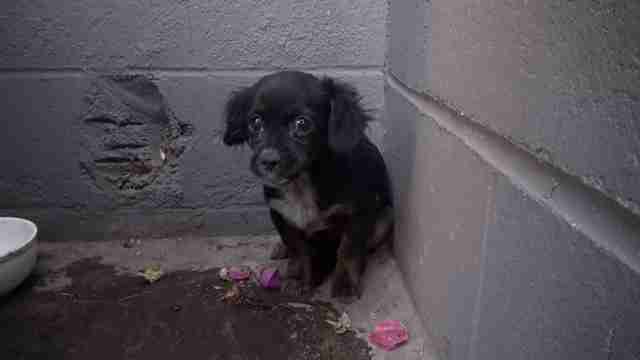 I just couldn't believe how scared this little 3 months old puppy was," Hope for Paws wrote on its Facebook page. 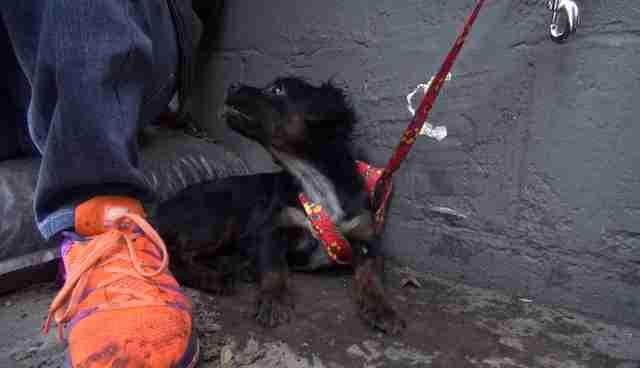 Eventually she gave in and let rescuers put a leash around her. "[Volunteers] equipped our rescue vehicle with beautiful soft blankets, [and] we were able to wrap her and get her safely to the hospital," the rescue wrote. 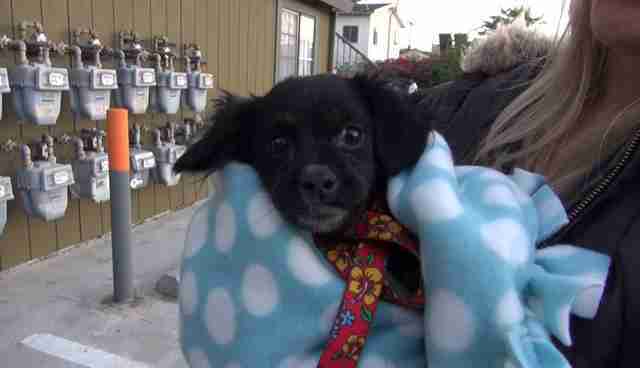 From there, the frightened puppy experienced things she had never had before. ... and the love of a human. Ginnie still has a long way to go. She's understandably skittish around people, but there's no doubt that with the right love and support, she'll do great in a forever home. Flickr/Eldad HagarAs she works toward that goal, she's been transferred to Doggie 911 Rescue, where "staff are working with her so she will learn to trust humans." The rescue notes that she'll need an understanding family who's "willing to continue working with her until she will become a super happy puppy. 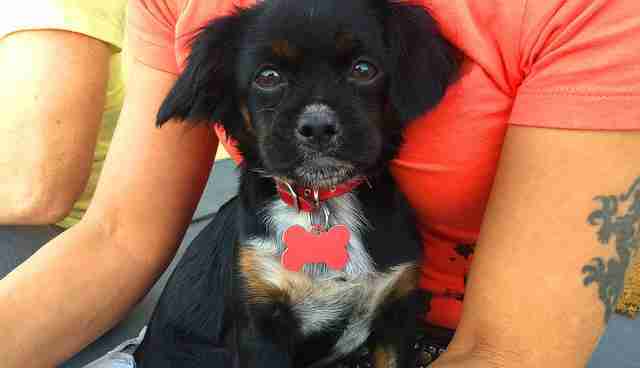 "If you're interested in adopting Ginnie, who's in the Los Angeles area, you can contact Doggie 911 Rescue, or fill out an adoption application here. 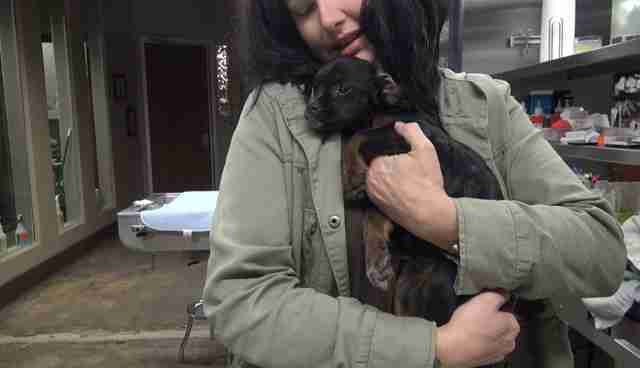 As she works toward that goal, she's been transferred to Doggie 911 Rescue, where "staff are working with her so she will learn to trust humans." The rescue notes that she'll need an understanding family who's "willing to continue working with her until she will become a super happy puppy." If you're interested in adopting Ginnie, who's in the Los Angeles area, you can contact Doggie 911 Rescue, or fill out an adoption application here.